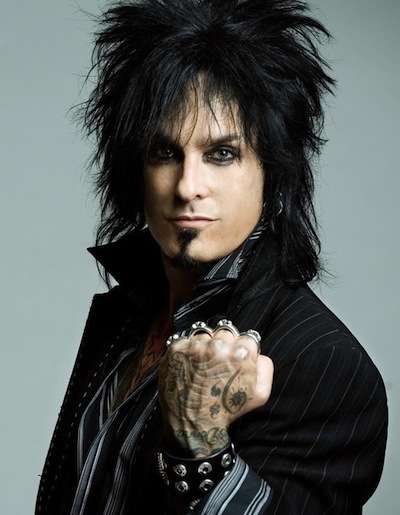 Nikki Sixx has checked in from the studio to give an update on how the four new Motley Crue songs are coming along. Frontman Vince Neil sent the rock world into a frenzy back in September when he revealed the band were back in the studio recording new material together. Now he tweets, “F–k can I just say it? I’m listening to the roughs of the new Motley Crue and it feels real and raw. The Dirt is based on Crue’s 2001 book of the same name and was originally slated for release in the summer of 2016. The Jeff Tremaine-directed movie will star Machine Gun Kelly as Lee, Douglas Booth as Sixx, Daniel Webber as Neil and Iwan Rheon as guitarist Mick Mars. Motely Crue wrapped up their farewell tour on December 31st, 2015, with an emotional show at the Staples Centre in Los Angeles, CA. I’m not interested in the movie, (mainly because of some rapper playing Tommy Lee, that ruined it for me) but I am interested in these 4 new Crue songs! Especially with Bob Rock producing them! I think these guys just need a break from each other and underneath their crap they really like each other and know Motley Crue is the s–t! I cant wait to hear the new songs! As far as Mick Mars and John Corabi that could have been a big thing, that might have faded unfortunately. Well said Doug, who cares about that rap bulls–t! Nobody. Tommy wanted to be a hip hop guy at one point, so a rapper playing him is ironic. The book is a classic, I don’t see the movie doing it justice. Hopefully, the “Jackass” who’s directing it will prove me wrong and surprise me with a good movie. I’m really want to hear the new songs. Vince Neil looks like he’s pregnant with twins now. There, I said it and I can’t take it back now! My fear is, in this PC day and age with the #MeToo movement, they will sanitize most of the stories. I hope I am wrong. Is Mick involved in these songs? Yes, I have heard that before, quite ironic, and in the case of, The Dirt, very apropos.